In the summer of 2014, which marks the 35th anniversary of the 1979 Sandinista Revolution in Nicaragua, two Canadian writers embarked on a conversation about their memories of Sandinista Nicaragua in the 1980s. 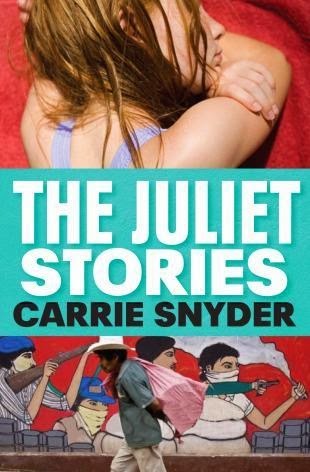 Carrie Snyder is the author of The Juliet Stories (Anansi, 2012), a collection of linked stories that recount the narrator’s childhood experiences in Sandinista Nicaragua; her new novel, Girl Runner (Anansi, 2014), is about a revolution of a different sort, charting the course of a groundbreaking (fictional) Canadian athlete. Stephen Henighan has published many short stories set in Latin America, and is the author of the recent non-fiction title Sandino’s Nation: Ernesto Cardenal andSergio Ramírez Writing Nicaragua, 1940-2012 (McGill-Queen’s, 2014). Their discussion explored their different experiences with and commitments to Nicaragua from the 1980s to the present day—experiences that proved powerful, and perhaps even life-changing. 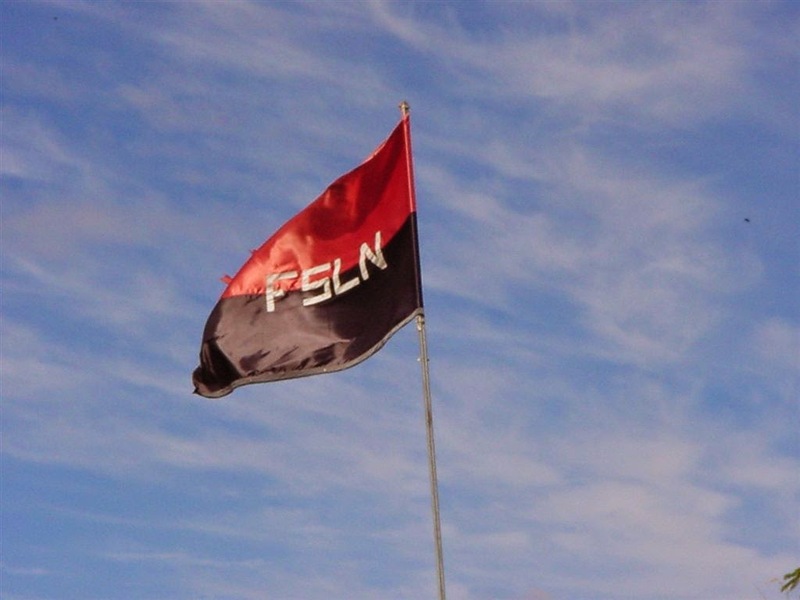 CARRIE SNYDER: I lived in Nicaragua as a child in 1984 and 1985 during the Contra War, and also the first election post-revolution, which was won by the FSLN, better known as the Sandinistas. My parents worked as peace activists for an American group called Witness for Peace, and I remember it as a very exciting time and place. We seemed to be surrounded by people who were wildly optimistic about the future of this country, though when I think of it, few were Nicaraguans—like us, they’d come from other countries, mostly the United States, to support the Sandinistas’ socialist ideals (which was not, I’d argue although Ronald Reagan would have disagreed, the same as supporting the Communist cause) and to expose the misery being caused by both covert and overt American foreign policy. It was a complicated time, politically. Yet it seemed simple to me, as a child. Tell me a bit about yourself. How did you come to be in Nicaragua during that time? When were you there? How long did you stay? Where did you live and what specifically did you do while you there? STEPHEN HENIGHAN: Like you, I got to Nicaragua via the USA. I think I’m about a dozen years older than you. I’m pretty sure my Nicaragua obsession would not have developed if I hadn’t left my home in the Ottawa Valley to do my undergrad work in Pennsylvania. I was already fascinated by Latin America, so I had read about the Nicaraguan Revolution in an Ottawa newspaper, but when I got to my college, Nicaragua was one of the two or three hot campus issues. It was on the front page of the New York Times every day. I fell in with a group of like-minded students, who were supported by activist profs. We learned everything about the Sandinistas: we knew all the debates and the ideological tendencies of the major figures, and read their essays or speeches or fiction or poetry. I came to the revolution through a mixture of literature and campus activism. I helped invite prominent Central Americans to campus (many were denied visas to enter the U.S.) and organized marches on Washington, D.C. to protest Reagan’s funding of the Contras. Finally, it became obvious that I had to make the trip myself. I went to Nicaragua in early 1984. By this time, I had studied literature and politics in Bogotá, Colombia and spoke fluent Spanish. My political science professor helped me get accredited as a foreign journalist by the Nicaraguan government, even though I had never published any journalism outside the campus newspaper! I spent time in Managua and in Estelí, in the north. In Managua I encountered the world of optimistic activists that you capture in The Juliet Stories: at rallies there were as many “Sandalistas”—hippie foreign radicals—as Nicaraguans. But the north was different. Very poor people there told me that thanks to the Sandinistas they had food and a house and health care and their children were learning to read. At the same time, the Contra War was much closer. You could see the hills where the fighting was happening. Another important event during my stay was my discovery of the Sandinistas’ policy of making books available to all at low prices. In Managua, I went to poetry readings by writers like Carlos Martínez Rivas and Gioconda Belli. I bought my first copies of books by Ernesto Cardenal and Sergio Ramírez, the two writers whose careers form the narrative of Sandino’s Nation. CARRIE: Our family also travelled north, to Estelí, Ocotal, and to Jalapa, even going to the Honduran border, a rural road essentially, where I remember putting my fingers into bullet holes left in trees from recent fighting. My Spanish was not yet very strong, but I had the distinct sense that the Nicaraguans whose homes we were visiting were nervous to have us there, and that we were being watched. That was the only time our parents took us that far north. We would stay in the homes of nuns or houses rented by Witness for Peace when we travelled, so even in places like Jinotega and Chinandega, I was surrounded by Americans or other ex-pats. 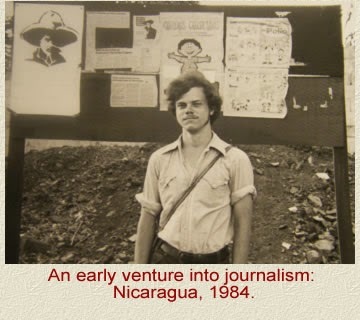 Did you work as a journalist while in Nicaragua during that time? How long did you live there, or did you leave and return over a period of years? Did your opinions change during your time in Nicaragua? STEPHEN: With my journalist’s card from the Sandinista government, I was able to attend debates at the National Assembly and interview whoever I liked. I did lots of interviews, including one with the Minister of Education, Fernando Cardenal. Unfortunately, I was still a really bad journalist. None of my articles got published. As often happens, I processed the experience better through fiction. 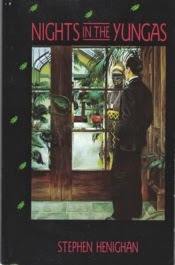 Years later I wrote three short stories about the ideological contradictions of foreigners in Nicaragua that appeared in my first collection, Nights in the Yungas. In fact, I was only in Nicaragua for about two and a half weeks in 1984. It seemed like much longer because my daily engagement with the country, in my reading, in my activism, in my discussions with friends, extended over the whole decade. I arrived there with a lot of prior knowledge: everything I saw seemed significant, from slogans to bullet-holes in walls to the profiles of the volcanoes and the smells that blew in off the lake. My impressions from that visit are indelible. I had lived in Bogotá, Colombia, a chilly, repressed, conservative society riven by civil war, where people trembled at the sight of a man in uniform. Nicaragua’s tropical exuberance blew me away. I gaped at the sight of young women in uniform necking with civilian boyfriends on street corners, of ordinary people chatting in a friendly way with soldiers on the country buses that I rode, of peasants lecturing me on their political opinions rather than remaining hunched and fearful. The only place where people seemed more muted was on a cooperative I visited near Estelí. I wasn’t surprised to learn, years later, that the cooperativization of agriculture had lost the Sandinistas supporters among peasants who had been hoping to receive private plots of land. After I left, a lot of my friends went for shorter or longer stays, so I continued to feel like I was in touch through their reports and anecdotes By 1990, when the Sandinistas were defeated, I was living in Montreal. I felt as though an essential element of my imaginative universe had dissolved. I couldn’t imagine “returning” to Nicaragua because in my mind there was no longer a Nicaragua, as I had known it, to return to. I guess it’s time to talk about post-1990 return visits to Nicaragua. When did you first go back? CARRIE: We must have overlapped in Nicaragua in 1984, Stephen. My family stayed for 14 months, a length of time that was significant, but yet did not seem long enough to explain the intensity of the hold that time and place had on me. In retrospect, it seemed like I got to experience the excitement of a post-revolutionary environment while escaping the terror in the campo, the grief, the letdown, the encroaching cynicism and doubt. I think I still feel guilty about that. It was something I struggled with while researching and writing The Juliet Stories. I remember watching military vehicles leave from outside our school in Managua, loaded with teenagers—students—who were being taken north to help harvest the coffee crop, very dangerous work due to regular Contra incursions into that area. The students were singing pro-Sandinista songs and seemed excited, but I don’t think they had a choice. This is exactly the kind of consequence of the revolution from which I was exempt, and would have been no matter my age, by virtue of my American citizenship; but those young people weren’t. It was sobering, even at the time. I returned to Nicaragua as a university student for a term as part of my Peace & Conflict Studies coursework, fall 1994, and lived with a pro-Sandinista family in a relatively poor barrio of Managua, and volunteered at a nearby community centre. Arnold Alemán was then mayor of Managua, already known for his corruption. The country was struggling terribly from the effects of World Bank and IMF-imposed cuts, and it was not the same country I remembered, at all. I was often depressed by what I saw. But, then, I was also 19, and still strongly attached to my youthful idealism and beliefs. When an older man I met in the countryside expressed nostalgia for the rule of Somoza, I was shocked. But his family had lost land in the revolution—why shouldn’t he have been nostalgic for their former wealth? In 2006, I travelled there again to research The Juliet Stories, and things had changed yet again, as the country opened up to tourists, surfers, backpackers. A large modern mall had been built in Managua, and luxury vacation spots were being developed on the west coast, although it still felt wild and off the beaten path. I was travelling with small children, and I felt safe. (I’ve always felt safe there, come to think of it.) I haven’t been back since. What has your ongoing connection been to Nicaragua, post-1990? How often have you been back? Do you think that brief but intense immersion in 1984 changed the course of your own life, work, and research? STEPHEN: I think one of the choices I’m most grateful I made in my life is that I actually went to Nicaragua during the Sandinista years. Even though my exposure was pitifully short by comparison with yours, my stay cemented my commitment to the country, giving it a place in my emotional life that was more grounded and meaningful than the place one reserves for foreign causes that one supports without personal exposure to the country. This helped me realize the importance of getting past long-distance fascinations with faraway countries and engaging with the world more fully. This in turn led to various crazed trips to other countries in subsequent years. Going to Nicaragua also made me realize how different Central America was from South America, where I’d studied. I became a bit of a Central America fanatic. Between 1994 and 2003, I visited Guatemala several times. I did doctoral research there, wrote short stories set in the country and later coordinated a semester abroad in Antigua for University of Guelph students. Yet I didn’t return to Nicaragua. The idea of encountering it as simply another downtrodden Central American country, rather than as one of my imaginative touchstones and a place that offered hope, was unbearable. I finally rode into northern Nicaragua on a bus from Honduras in February 2006. One of the first things I saw was a pole on a deserted hilltop that flew the shredded remnants of a red-and-black Sandinista flag. It was as though the country was warning me that I’d better face the reality of how it had changed. When I arrived in Managua and walked down the street from the Ticabus station, the wind took me by surprise: the same dry evening wind I remembered from 1984; it still dragged leaves down the streets and rained twigs and fruit on metal roofs. I realized some things didn’t change. Like you I was startled by Nicaragua’s conversion into a backpacker and surfer dude hangout. I went to the Granada Poetry Festival, an experience that turned into an article for The Walrus. I taped long interviews with Sergio Ramírez and Ernesto Cardenal. By this time I knew I was going to write a book, though the shape of it wasn’t clear. The transcripts of my interviews became crucial to Sandino’s Nation. I stayed for a month and visited places I hadn’t been before: León, Granada, the Pacific Coast. No one knew it at the time, but the sixteen years of right-wing rule were about to end. I was put off by the tacky commercialism. 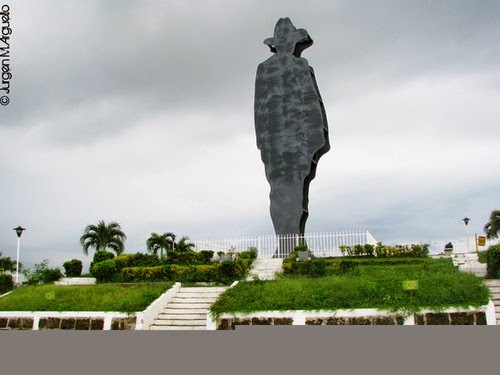 I loathed the Metrocentro shopping mall that Arnaldo Alemán had built to give Managua a “modern” core; yet Ernesto Cardenal’s statue of Sandino on the Tiscapa Mound that overlooked Managua remained intact, suggesting that some nugget of the revolution endured. I met 19-year-old backpackers who didn’t know that Nicaragua had ever had a revolution, and anti-Sandinista older Nicaraguans who had come back from Miami after 1990. My conversations with both groups were fractious, but after this visit I knew I wouldn’t hesitate to return again. My most recent visit was a three-week trip in November and early December of 2013. By this time, Sandino’s Nation was into final edits and I wanted to make sure I hadn’t got anything wrong. I went to regions I hadn’t visited: the Atlantic Coast, the San Juan River, the Solentiname Archipelago, a few places in the far north. I sent in corrections to my editor from internet cafés in the jungle. I did a couple of last-minute interviews. When I met travellers who had been in Nicaragua in the 1980s, they seemed ancient, making me wonder whether I now seemed ancient to others. 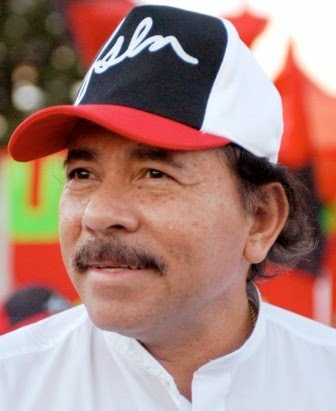 The biggest change in the country was that Daniel Ortega, the Sandinista leader from the 1980s, had been re-elected to the presidency at the end of 2006, then elected again, with a bigger majority, in 2011. His party was still called the FSLN, but now it was a populist machine that nobody expected to bring dramatic change. I was troubled by how 1980s revolutionary slogans were being recycled even though globalization had ruled out “revolution” as a political option. Some FSLN members too young to remember the 1980s were under the illusion that they were participating in decisive social change that simply was not happening. Since the writers whose stories I was telling in my book had been important figures in the revolutionary government of the 1980s, who had then split from the FSLN in 1995, I arrived in the country very influenced by their critical view of the Ortega regime. I have to admit that, in spite of my horror at the potential environmental carnage that Ortega’s project of building a trans-isthmian canal will wreak, I left Nicaragua with a more nuanced outlook. Ortega re-established free education and health care, both of which the right had abolished after 1990; he spread electricity into rural areas and provided free seeds and chickens to poor peasants. In contrast to Mexico, Guatemala or El Salvador, narcos, gangs and random violence felt far away. Except for Managua after dark, nowhere seemed excessively dangerous. In recent weeks I’ve been thinking about how the Central American children who are now fleeing for the U.S. border come from Honduras, Guatemala and El Salvador—all countries that imitate the U.S. model—but not from Nicaragua, which rejects it. Ortega’s government has betrayed many of the hopes of the 1980s, it is very corrupt and it’s perverted the electoral system. Yet some of the social gains of the 1980s have survived and been consolidated. Overall, Nicaragua is poorer than any of its neighbours, yet the poorest of the poor are in somewhat less dire straits than the poorest Hondurans, Guatemalans or Salvadorans. 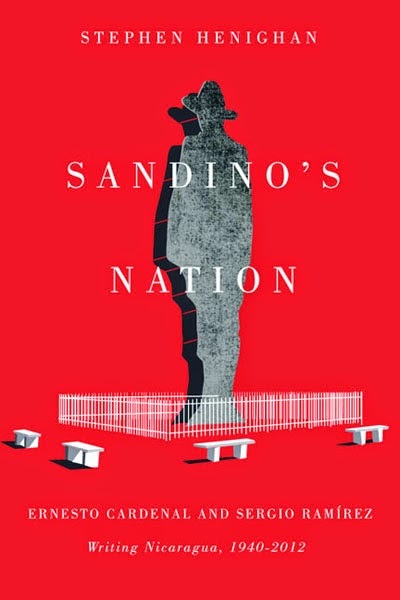 By publishing Sandino’s Nation, I feel I’ve latched a part of myself to Nicaragua in perpetuity. Though it’s a scholarly book, it’s also a way of assessing and acknowledging my youthful allegiances, and even who I am today. And you? Do you think you will go back again? 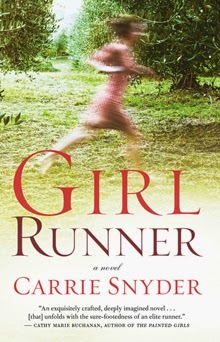 Do your Nicaraguan experiences influence books you write on non-Nicaraguan topics, like your new novel, Girl Runner? CARRIE: I was troubled when Ortega won again in 2006. It seemed predictable, as you write in Sandino’s Nation, an “inexorable return to immemorial patterns of caudillismo and family dictatorship,” and not what I’d imagined the Sandinistas and the revolution had been about. On the other hand, like you, I’ve been watching the news of Central American children flooding the American border this summer, noticing that they aren’t coming from Nicaragua, and wondering what Ortega has done right, how on earth he’s kept the drug cartels out. Your book fills in a lot of holes for me. I’ve been reflecting on a few of the points you’ve raised. The first is that you strongly resisted returning to Nicaragua for many years, even while you visited other Central American countries. To my knowledge, my dad has never returned either, although his work took him on many occasions to other Central and South American countries. My mom came along on our 2006 trip, along with one of my brothers, but my other brothers didn’t want to go back either. I’ve often wondered why some of us wanted to return, and others didn’t, or even actively avoided returning. Maybe there are different ways to preserve the past, and one is to prevent it being disturbed or trampled by subsequent experiences. My own version of preservation has been to go back in search of what was, knowing I wouldn’t find it, not literally, but believing I would find something else as transformative. Nicaragua has been a touchstone for me, too. I would like to go back again. I keep saying that. I’ll wait for the pull. I have no doubt that time, which still seems almost magical, left an imprint on my work. Probably because I moved often as a child, and lived in unfamiliar cultures, I’m an observer, always reading under the surface, puzzling out the meaning of everything that’s left unspoken. For a long time, I felt ashamed of myself for not being an activist. But I’m just not. I resist ideologies. I’m not rigid about rules. I don’t like being told what to do. I see many sides to one story and rarely assume I’m right. Conflict fascinates me, and I’m not afraid of stepping into it and feeling strong emotions, but only if it serves a purpose: to further connection rather than sever it. For a long time, I worried that I wasn’t doing enough to fight for justice; The Juliet Stories was, in some sense, how I came to terms with that. Girl Runner is what comes next: it’s me at peace with not being an activist. Because all of what makes me a not-very-good activist makes me a better writer. And there’s power in stories, too. 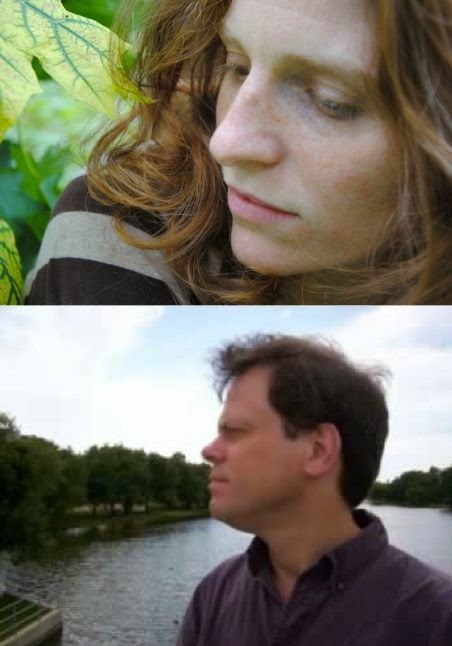 Carrie Snyder will be appearing at this year's Eden Mills Writer's Festival, Sunday September 14th. 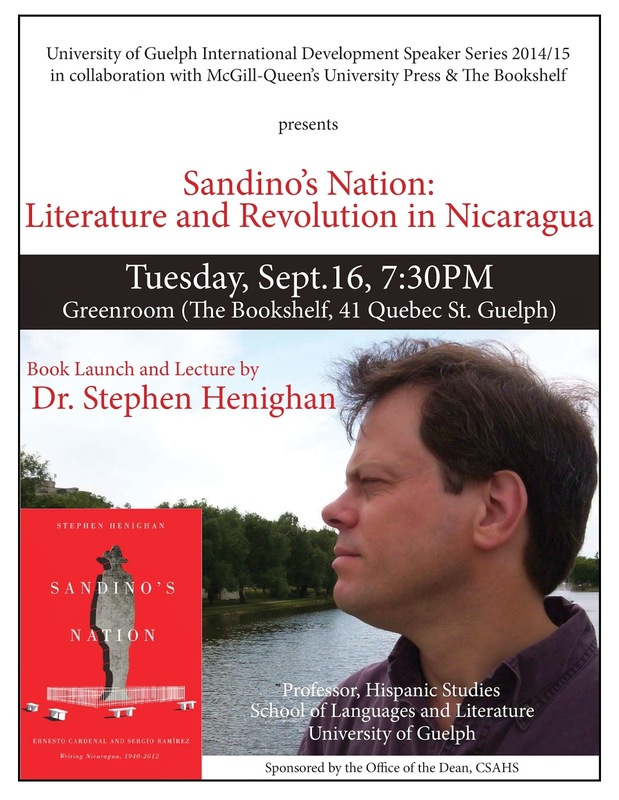 Stephen Henighan will be launching Sandino's Nation in the Greenroom, Tuesday September 16th at 7:30pm. Hey, I'm Sweeti your 19yrs doll from Agra Escorts Agency .Let me melt all of your stress away, with total relaxation in Cyko escorts agency and FUN!! Złóż wniosek już teraz i pilnie uzyskaj pieniądze! Wszystkie te i inne, prosimy o kontakt. Skontaktuj się z kredytem Speedy teraz !!! • Your Money In 4 Hours?